This allows you to export data from Deputy into a number of solutions. Before you get started, you'll need to make sure that you have at least one approved timesheet. This will require you to have added an employee and created a timesheet for them. To ensure you are exporting your employee’s correctly, you will need to assign their Export codes. These export codes will link your employee’s timesheets to their profile within your payroll package. To set a staff member’s Timesheet Export Code, please navigate to People, find the staff member you wish to edit, then click on the Options drop-down menu and select Edit. 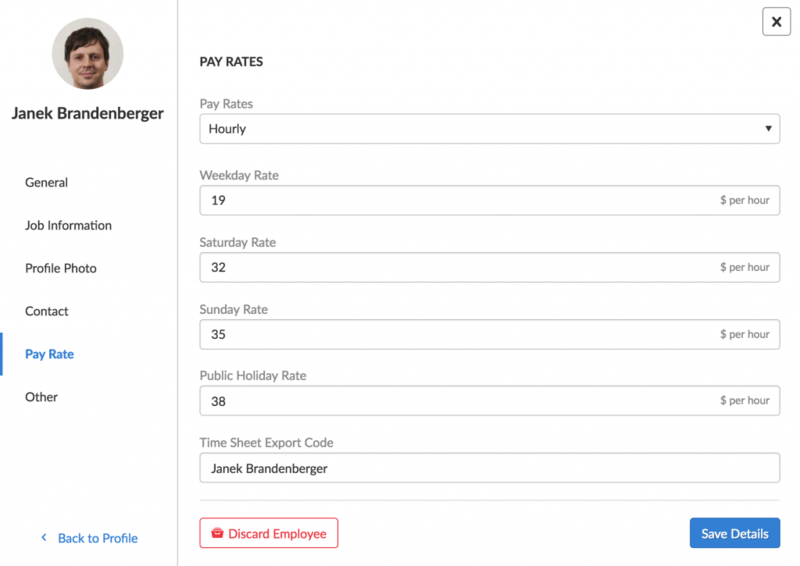 The Timesheet Export Code can be found under the pay rates, on the Edit screen. 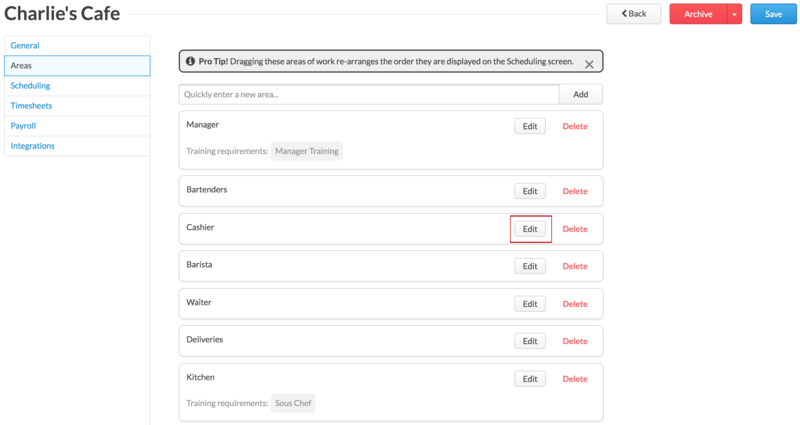 The Timesheet Export Code will need to match a different field in each payroll package. For instructions on which field to match with, please find the relevant article for your payroll package in our payroll help section. After adjusting it, please click "Save". 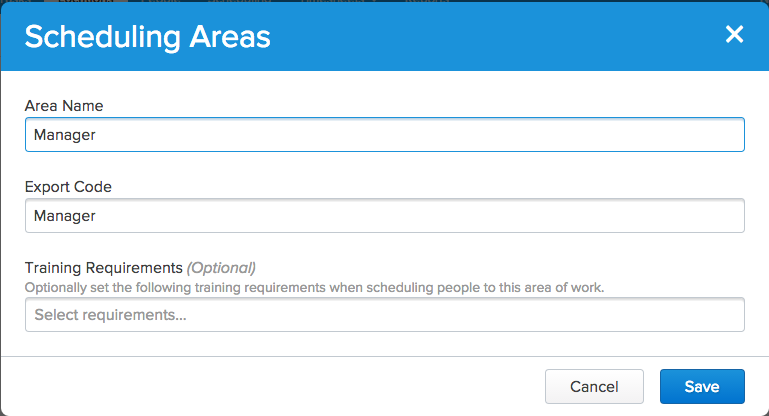 In order for a Timesheet to be assigned to an Area, each Area will need to have an Export code to link it to your Payroll Package. The Area Export Code is not necessary for all payroll packages, so please check the relevant article for your payroll. To edit the Export code for each Area, please click "Locations" at the top of the screen, then select "Settings" next to the relevant Location. Once in your Settings, please go to Areas, then edit the Area you wish to add the Export code into. When editing the Area, you will see an Export Code text field. Input the export code here, then click save. Depending on which payroll package your company uses, the Area Code will vary. Please see the relevant article for your payroll for more information. Please navigate to the Timesheets tab at the top of your screen and select "Export Time Sheets". Select the date range for the export from the date selector at the top of the screen. This should align with the pay period that your payroll package is expecting. Please select the employees to export on the left-hand side. To quickly select all employees click "Select All". The details will then be displayed on the right-hand side. If you need to edit an item, please click on the item in the list to the right and select "View or edit original item". Once you are ready to export, please click "Export Selected Items". 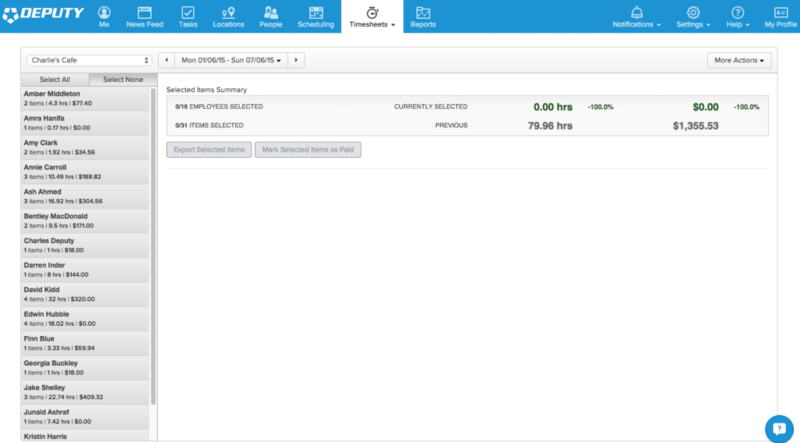 Finally, please press "Export" to ready the data for your payroll package.